Designed to alleviate the demands of modern life, Shift combines sound healing and mindfulness meditation to help you unplug and reconnect. 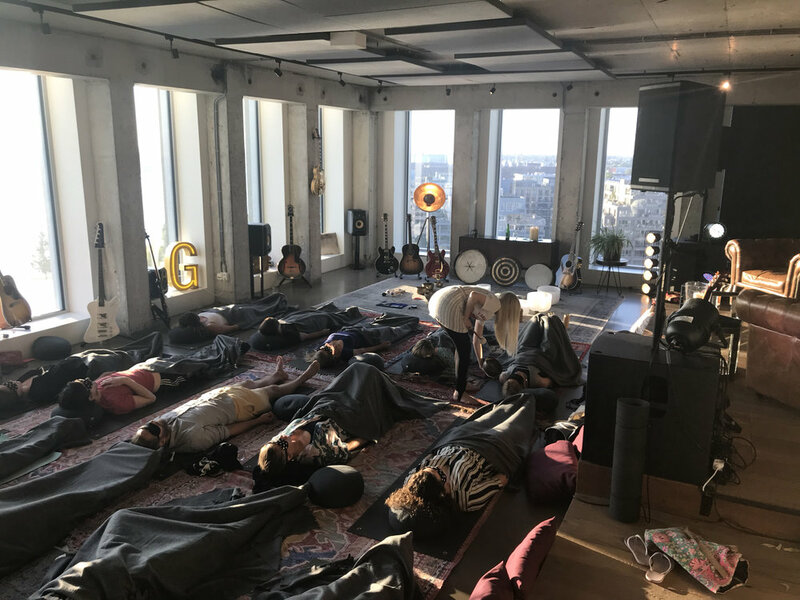 Happening in unexpected spaces around Amsterdam and beyond, Shift's sound baths can reduce stress, help you tap into your inner creativity or allow you to be guided away from your daily distractions for an extraordinary auditory experience. Shift also offers private group sessions, as well as, workplace wellness workshops. Inside the fully reflective, octagon light installation designed by Child of the Light for Red Bull during ADE.. The moving light was designed to respond to my quartz crystal singing bowls. Massive Music presents Shift Meditation during ADE at Club Shelter. 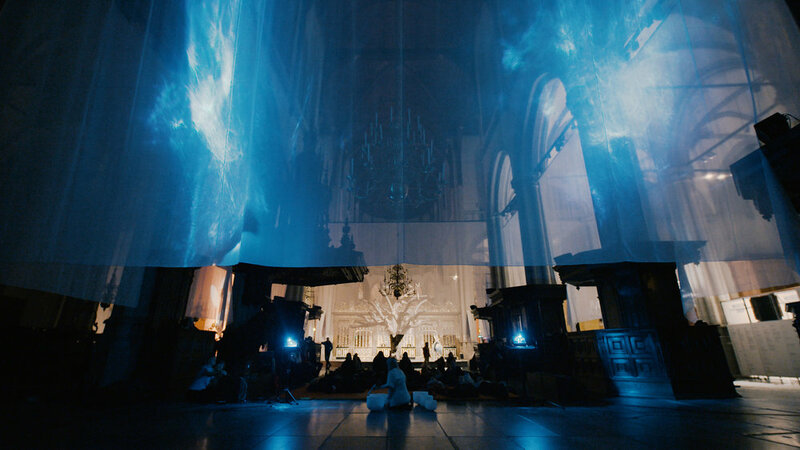 Gibson Guitar & Massive Music presents Shift Meditation in the Amsterdam Tower. Blockbase Summit in Davos during World Economic Forum week 2019. Three performances with End of Time. Closing ceremony of the “Life of Buddha” exhibition in De Nieuwe Kerk Feb. 2019. Light & sound installation collaboration with Nick Verstand & Jordan Soderberg. Our sound baths are a group healing experience that uses sound to induce a meditative state. It’s called a bath because the sound waves and frequencies literally wash over you, cleaning away any stuck or negative energies and bringing you back to your natural state of balance. 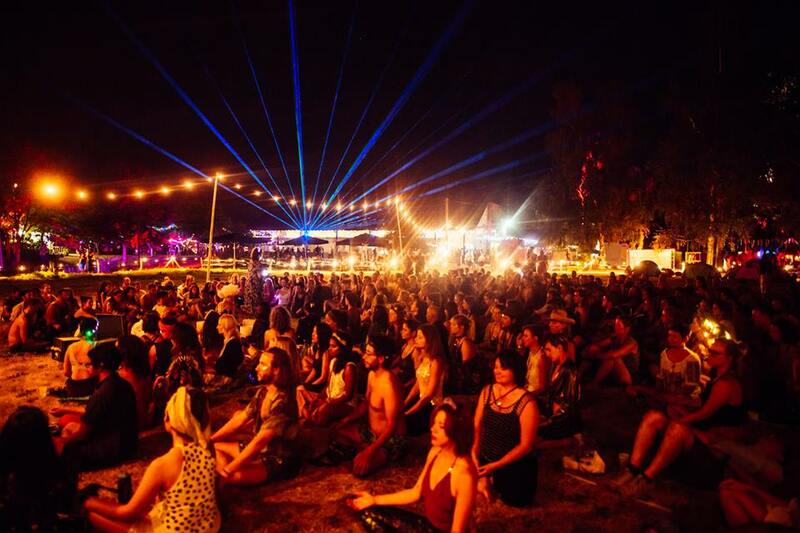 Sound baths are an almost effortless way to meditate as the sounds help to facilitate shifts in our brainwave state. By using rhythm and frequency, we can entrain our brainwaves to downshift our normal consciousness to a meditative state making it possible for internal healing to take place. This same concept is utilized in meditation by regulating the breath, but with sound healing it’s a combination of the frequency and rhythm that influences the shift. At a Shift Sound Bath Meditation you can expect to hear an improvised meditative concert that is tuned to the energy of the group. Instruments such as, quartz crystal singing bowls, gongs, drums, chimes, drones, himalayan singing bowls and tuning forks are used to bring you into a state of deep relaxation where stress release, healing and insight can occur. The experience also integrates a combination of mindfulness meditations for maximum effect. We live in a universe that's in a constant state of vibration. From the movements of the planets to the beating of our heart. Every atom, cell, tissue, organ and bone in our bodies is vibrating and that vibration produces sound, whether or not the sound is audible to the human ear. This sound can effect every part of our being and is not only 'heard' through the ears but through every cell in our bodies. It makes sense then if we are all vibrating with sound that we can use it to promote health in our lives. Through sound, we can change the rhythms of our brain waves, our heart beat and our respiration, affecting our overall health. Sound healing is the therapeutic application of these sound frequencies to a person with the intention of bringing them into a state of harmony and health by balancing the physical, mental, emotional, or spiritual aspect of their being. It works by using interval and frequency to help move the body into balance and has been utilized in various cultures around the world for thousands of years as a tool for healing. There is so much to say on this subject, but the best way to understand the power of sound is to experience it for yourself. Also, check out my sound healing music project End of Time. Meditation is one of the key practices of mindfulness and it can be a powerful tool to reduce stress, tap into our creativity, or figure out what we really want in life. It's not only powerful, but it's an accessible tool that puts us in control of our lives. Effectively blowing away the scientific beliefs of decades ago, the recently discovered principle of neuroplasticity means that our brain's potential is not set at birth - we can actually improve and strengthen our brains in ways once believed impossible. Thousands of clinical studies have now documented the physical and mental health benefits of mindfulness meditation. So, what is mindfulness? It is knowing what you are experiencing while you are experiencing it. Mindfulness teaches us a way of being rather than doing. It allows us to step back from automatic behaviors and habitual thought patterns and to see things more clearly. It is a moment-to-moment awareness of our thoughts, feelings, bodily sensations and surrounding environment. Though it has its roots in Buddhist meditation, a secular practice of mindfulness has entered the global mainstream in recent years, mainly due to the work of Jon Kabat-Zinn and his Mindfulness-Based Stress Reduction (MBSR) program, which he launched at the University of Massachusetts Medical School in 1979. Since that time, thousands of studies have documented the physical and mental health benefits of mindfulness, inspiring hospitals, schools, corporations and beyond to adopt the MBSR model with great success. Mindful movement is one of the core teachings of mindfulness. It is movement that focuses your awareness on how the body moves. It is based upon a hatha style yoga, but can also include mindful walking, tai chi etc. Shift also incorporates the core 10 movements as taught by Thich Nhat Hanh, the influential Buddhist monk. Mindfulness & sound therapy can help transform the workplace - not only for the numerous health benefits like decreased sick days and stress levels, but also as a strategy to help foster interconnectedness, creativity and innovation. Click here for more details. 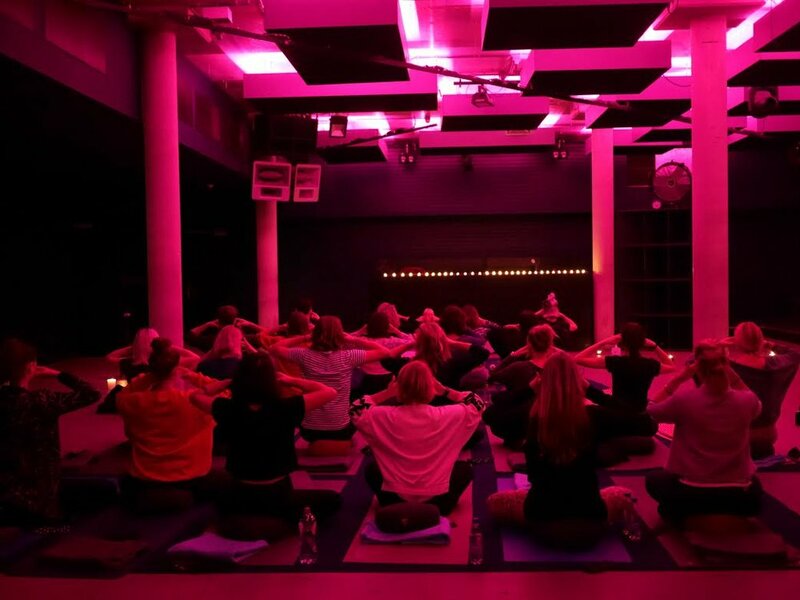 Shift offers sound baths & meditation sessions for private groups, yoga classes, retreats or corporate events. Contact us to discuss the possibilities. Have questions about our sessions, events or workshops? Or interested in collaborating?